Multitasking first appeared in iOS 4, but at the time it was limited: Only certain types of apps could run in the background, using Apple-approved frameworks for tasks such as audio, location, and uploading. In iOS 7, Apple has loosened the restrictions for multitasking and added a whole new user interface for switching between apps. The new multitasking interface gives you a better idea of what state you left your apps in, and even lets you quickly refer to another app without bringing it to the foreground. 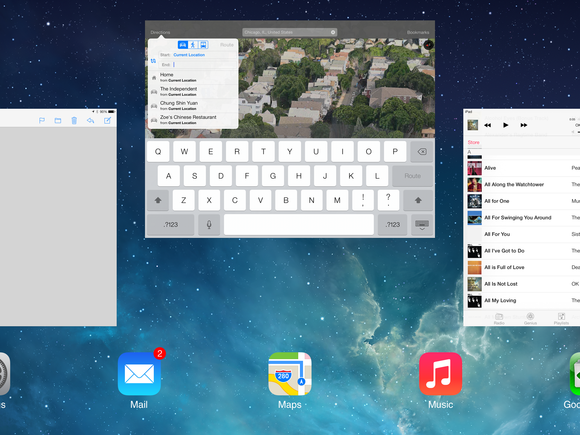 That new interface is the most visible indication of the new multitasking system’s presence. Instead of relying on a bar of app icons, you double-click your device’s Home button to zoom out into a card-based interface, which shows you the app screens themselves (as they were when you last viewed them); tap any screen or the app icon below it to go to that app. 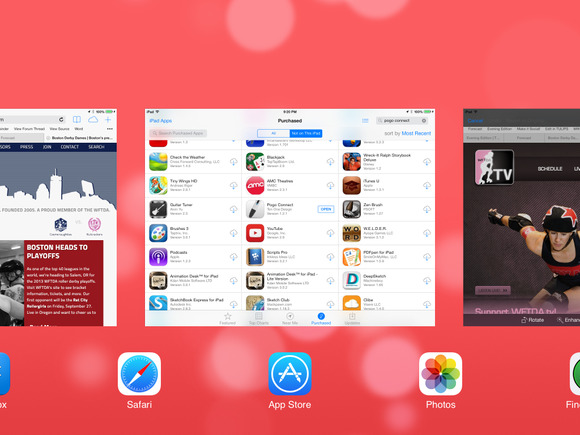 You can quickly scroll over either the icons or the app screens to view your recent apps. Not only does this make it easy to pick out which app you’re looking for, but it means you can quickly refer to a piece of information in one app without actually bringing that app to the foreground. You can also now force-quit an app by just flicking the card up and off the screen. 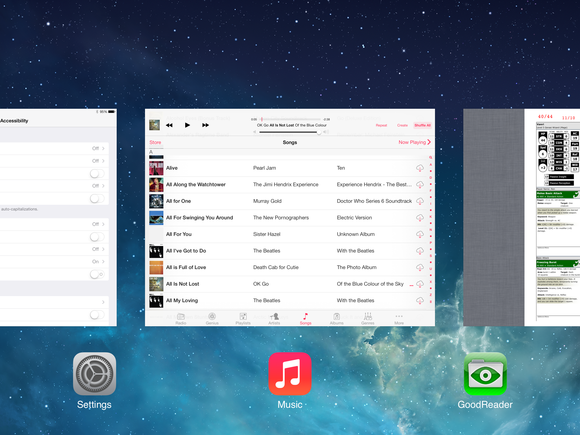 And the multitasking interface works in both portrait and landscape orientations on all iOS devices. Force quitting an app is now accomplished by swiping upwards on its card from the multitasking screen. All apps can also now take advantage of multitasking to keep updated in the background. Apple has worked to optimize the practice so it won’t deplete your device’s battery life—the system will look for factors like network connection strength, time of day, and push notifications to figure out when it should update apps. And it may refresh your frequently accessed apps—social networking programs, for example—more often. Of course, you may want more specific control over which apps are accessing information in the background. Visit Settings > General > Background App Refresh to find a list of all the apps updating in the background, as well as a slider to deactivate them. If you’re concerned about battery life, you can toggle a switch to entirely deactivate background refreshing of apps.